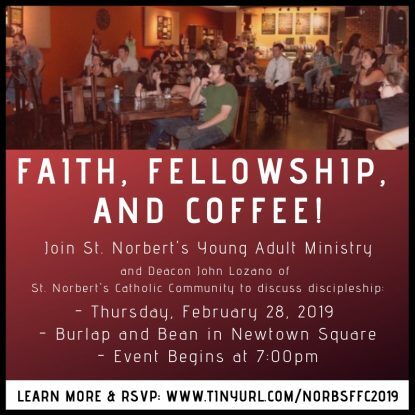 Join St. Norbert’s Young Adults at Burlap and Bean in Newtown Square for our latest coffeehouse event. Deacon John Lozano of St. Norbert’s Catholic Community will lead a discussion on discipleship, which will be followed by a Q&A. Food and drink will be available for purchase.